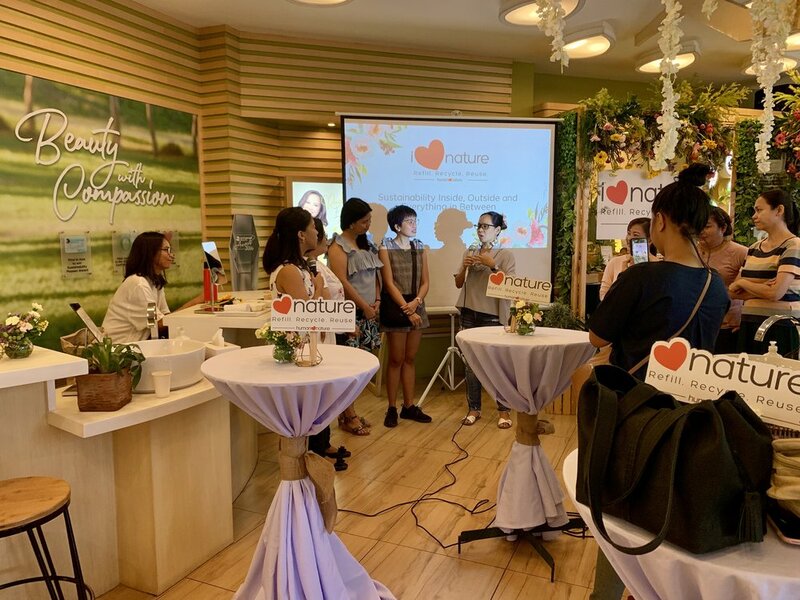 Yesterday, I attended the launch of the refilling station for home care products at the Human Nature flagship store. I was eager to witness this important milestone for our company. In case you missed it, I sell Human Nature products through my online store! Please support me while also helping the communities that are assisted with livelihood and skills training by the company. Every purchase counts as you switch to natural personal and home care products! 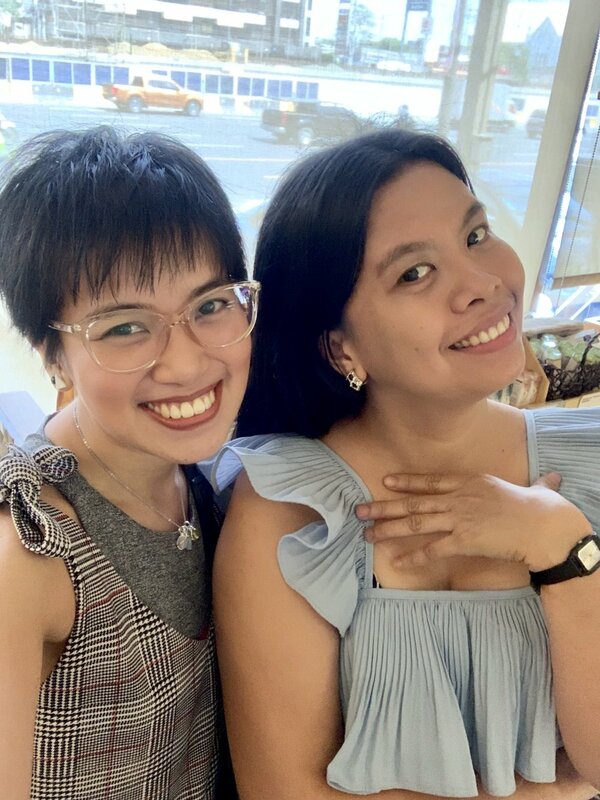 As always, every Human Nature event is an opportunity to catch up with fellow dealers turned friends, such as Kristel. I joined some games to get the party started. We were asked what we will do if we were given Php1M, and we told the crowd that we will train communities to create livelihood opportunities and multiply that impact across the country, similar to what Human Nature is already doing. We can even theoretically collaborate with them! Of course, the event is not all fun and games. The environment urgently needs our help in conserving finite resources and living sustainably, that’s why I brought my helper Racquel with me. It is important that my staff also knows about this cause, and that she sees firsthand how this advocacy is translated into a practical solution, such as our new refilling station. It also matters to me that she witnesses what I do for a living (while I also work freelance and search for corporate employment). It is my hope that she lives more sustainably as well after hearing the speeches on that day. I saw more friends in the Core Advocate group, which is comprised of long-time dealers who have taken time to take the advocacy through the next level. Maque and Lei have been with me during a community breakfast with the flagship store’s neighbors last year, and we have also joined a community immersion at the GK Enchanted Farm last February. We had our fill of coffee and pastries as we witnessed this milestone. Megs and Ate Rhea have become my friends through the years. They are sone of the reasons why Human Nature continues to grow. Ate Yla has been managing the flagship store and has turned it into a powerhouse of social enterprise. She has also become a dear friend. 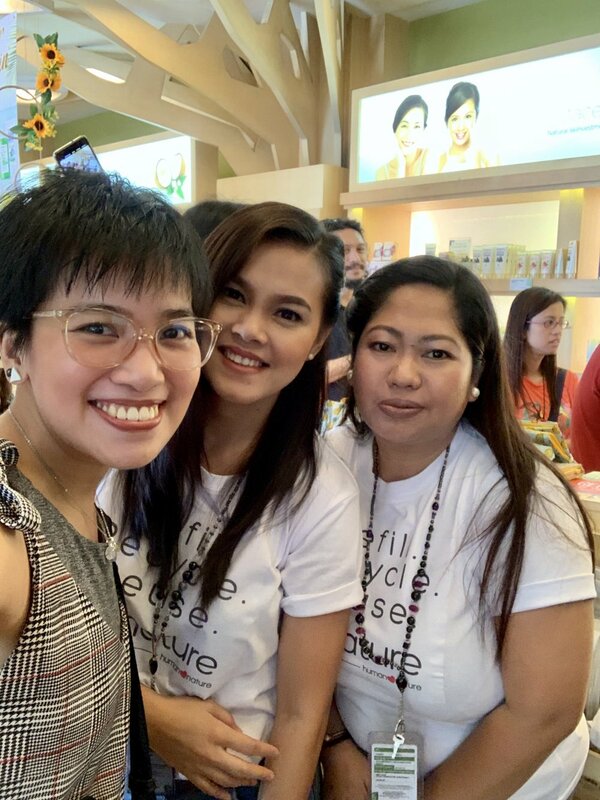 Here we are with our president Anna Meloto-Wilk, who empowered us all with a heartfelt speech on saving Mother Nature in our own little way and still selling quality natural products. Her own journey into sustainability in her own home (as a wife and mum of six kids) and in her job was not easy, but it eventually became a conscious choice. I am so proud of Human Nature, and I am honored to be one its core advocates who share the goodness with each sale. I hope that you, dear reader, will continue to support me and my Human Nature online store! Our company continues to change lives and lead by example in the industry. Here’s to more years of sustainability and success!